THIS SECTION COVERS THE EXTERNAL TO THE TRANSFER CASE SLIP YOKE ELIMINATORS (SYEs). This is for Any Vehicle You wish to eliminate the slip yoke. 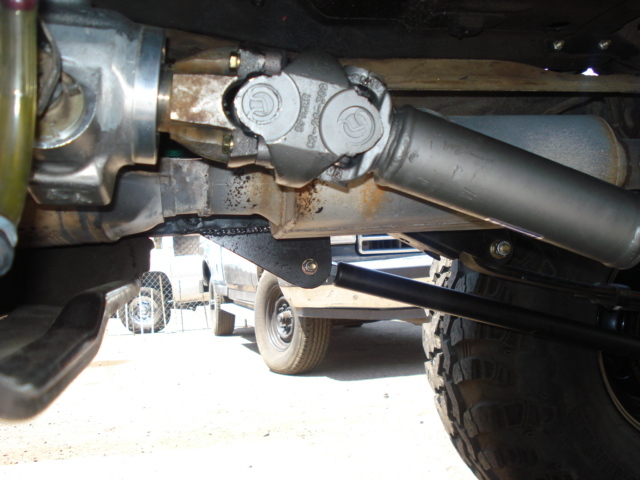 Cherokees, Jeeps, Dodges, Chevy, Impala, etc..
SYE Kit eliminates the slip yoke. What for? With a fixed yoke on both ends of the drive shaft, you can have longer travel on the drive shaft it self (for rock crawling for instance). Another advantage is that if the drive shaft breaks you can go home using the front without spilling the oil from the TC. With this kit, the installation involves drilling and tapping a hole at the end of the output shaft and it comes with instructions. You do not have to tear down or even remove the TC to install the kit. The kit contains one CV drive shaft and a yoke that gets bolted to the output shaft. The simple way to install a kit at an affordable price is here. Look! 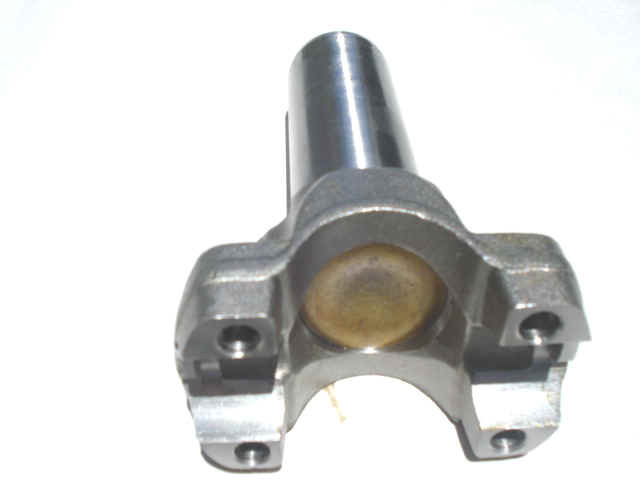 Drive Shaft Superstore slip yoke eliminator does not require that the transfer case be removed and taken apart. This kit works just like the heavy duty except it uses the same output shaft and costs less than any others in the market. Click here to read more about it under the wrangler kits. Our kit includes a spicer type CV style drive shaft. Not just anyone can offer the high angle CVs that Drive Shaft Superstore can (even if they say they do). Unless they buy form us, no one has the high speed 16 spline 1.5”diameter automotive long spline drive shaft that we make. TJ and YJ yokes. These are half round yokes that are bolted to the output shaft. The bolt is furnished along with the four bolts for the CV and drive shaft. Ok, I want to order an External SYE, how do I measure? SYE YOKE OR FLANGE for Transfer cases with slip yokes 208,241 CHEVY (32 SPLINE) AND 1356 FORD (31 SPLINES) or any other you choose. The kits include, the yoke and the drive shaft in any style with any options which are listed below. All you do is ad it to the cart if you which to buy one. Note, choosing ad to the cart does not obligate you to that selection. All menus allow you to delete or cancel anything you have started. We get you order only after you submit it.